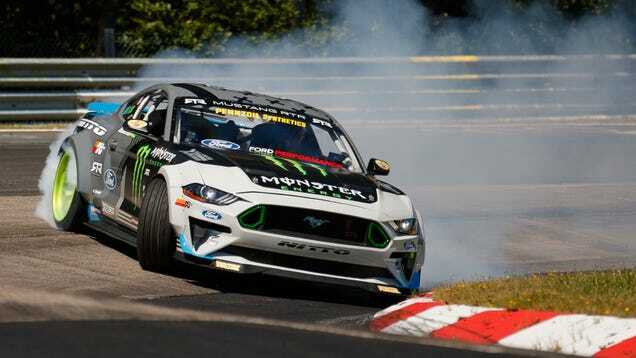 The first question I had when I watched the short video of Vaughn Gittin Jr. drifting the Nürburgring was how many sets of tires did he go through? Three, the answer is three sets of Nitto NT555 G2s. MAY 2014: The Most Mustangs EVER & Drifting in the Rain with Vaughn Gittin Jr.
Race Mustang vs Drift Mustang: Which is Faster? Vaughn Gittin Jr. Drifts the Lethal Performance 2012 BOSS @ PBIR!